NEWCOMBE, CHARLES FREDERIC, physician, naturalist, and artefact collector; b. 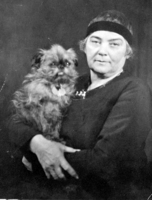 15 Sept. 1851 in Newcastle upon Tyne, England, son of William Lister Newcombe, a railway manager, and Eliza Jane Rymer; m. 6 May 1879 Marian Arnold in Marylebone, London, England, and they had two daughters and four sons; d. 19 Oct. 1924 in Victoria. Charles Newcombe was raised in Newcastle upon Tyne and studied medicine at the University of Aberdeen. He interned at the West Riding Asylum in Wakefield and graduated mb, cm with distinction in 1873. After a few years as medical officer at the Lancashire County Asylum in Rainhill, near Liverpool, he obtained his md in 1878. After their marriage in 1879 the Newcombes moved to Windermere, where Charles practised general medicine. In the early 1880s he visited North America and decided to immigrate. Newcombe, his wife, and their three children settled in Hood River, Oreg., in 1884. There he practised medicine, helped to build his own house, began a fruit farm, and participated in natural history expeditions, collecting specimens of native plants and archaeological artefacts. In 1889 the family moved to Victoria in search of a milder climate. Newcombe obtained a medical licence for British Columbia and would maintain a general practice for the rest of his life, but he found it difficult to compete with the many established physicians in Victoria. Although not wealthy, he and his wife had inherited some money, which supplemented his income. Shortly after his arrival in Victoria he became an unpaid researcher at the provincial museum [see John Fannin*], where he met people with whom he shared interests in botany, geology, marine biology, geography, palaeontology, and anthropology. His passion for these subjects surpassed his interest in the medical profession and other career opportunities. Following Marian Newcombe’s death shortly after childbirth in February 1891, Newcombe travelled to England with his three eldest children, who would remain there for several years. While in England, he pursued studies at the University of London and at the British Museum in various branches of natural history and he purchased modern photographic equipment. He returned alone to Victoria the following year and began to venture further afield, mostly by boat, to pursue his interests in marine biology by dredging for specimens; in addition, he collected fossils and native plants. He was a founding member of the Victoria Natural History Society in 1896. 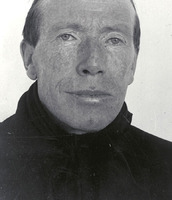 In 1895, with Francis Kermode* of the provincial museum, Newcombe had travelled by steamer on an expedition to the Kwakiutl community at Alert Bay and to the Queen Charlotte Islands. On this trip he began acquiring anthropological artefacts for his personal collection and he also established a practice of recording detailed field notes. By 1897 he had had a boat specially made for his fieldwork. The Pelican, a 24-foot double-ended Columbia River boat, was easy to row and to sail, could be transported by steamer, and permitted independent expeditions to the remotest areas of the coast. That year he returned to the same regions on his first major independent collecting trip. At the request of the provincial government he purchased a Haida totem pole for the Royal Botanic Gardens at Kew (London) and he acquired artefacts for George Mercer Dawson* of the Geological Survey of Canada. Over the years Newcombe undertook many similar expeditions by boat to isolated locations on the British Columbia coast. Museums in Europe and North America began to commission him to gather natural history specimens. He also found ready buyers in a growing museum market for ethnological artefacts and he avidly competed with other collectors for totem poles, ceremonial masks and regalia, and more utilitarian items. By 1900 he had received commissions from major American museums. Leading American anthropologist Franz Boas* hired him to conduct research on the Haida history of the southern portion of the Queen Charlotte Islands. Newcombe was accompanied on this expedition by assistant Douglas Scholefield and Haida chief Elijah Ninstints. As they rowed and sailed together, Ninstints described the geography and history of his homeland, while Newcombe took notes and photographs, made sketches, and collected specimens. In late 1901 he agreed to work on a full-time basis for the Columbian Museum of Chicago, an arrangement that would last until late 1905. He acquired comprehensive ethnographic collections for displays on the Haida, Kwakiutl, Nootka, and Salish peoples. 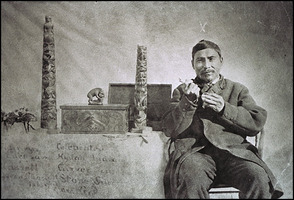 In 1904 he was commissioned to assemble ethnographic exhibits for the Louisiana Purchase exposition in St Louis that would include a group of Nootka and Kwakiutl cultural performers and artists, as well as a traditional native house, a canoe, and other artefacts purchased and shipped for the event. He eventually developed a web of patrons, clients, and colleagues that extended throughout British Columbia and around the world. For decades most ethnological artefacts from the northwest coast of Canada were purchased by foreign interests. Newcombe was dismayed that he could not interest provincial and federal governments in the collection and preservation of native artefacts and specimens of natural history. Since his overriding concern was to preserve these items for posterity, he was obliged to deal with American and other foreign institutions. In response to this situation, in 1911 the provincial museum at Victoria hired him as its agent. For four years he travelled throughout the province, compiling a major collection of artefacts. After 1914 his pace began to abate and he turned to researching and writing about the exploration history of the British Columbia coast. After a collecting trip to Alert Bay, he contracted pneumonia and died in 1924. During a period when many museums were competing to amass anthropological collections from the northwest coast, Newcombe succeeded better than most by developing and maintaining personal relationships with native people, scholars, and museum officials and by travelling where others would not. In the breadth and depth of the anthropological collections he provided various institutions and in the notes he recorded for individual artefacts, he is matched by few other researchers or collectors of the period. Important also are the many photographs he made of First Nations’ villages, art works, and people during his expeditions, the best or only visual records of many traditional communities that were soon to change greatly or to disappear. Motivated by the anthropological interest of the time in osteology, he also collected skeletal material. He left a small body of published works, including a few articles and monographs on natural history, botany, and native artefacts. Charles Newcombe had amassed an extensive personal collection that included thousands of artefacts, botanical specimens, fossils, and samples of marine life, as well as a vast number of photographs, extensive personal correspondence, notebooks, sketches, and a large library. His manuscript material, particularly his correspondence with leading scientific figures, provides insights into the collecting and research activities of his period. The province of British Columbia purchased Charles Frederic Newcombe’s personal collections from his heirs in 1961; these materials are now at the Royal British Columbia Museum (Victoria) and the BCA (MS-1077). The artefacts and specimens he purchased for others are housed in institutions throughout North America and abroad, including the Royal British Columbia Museum, the Field Museum of Natural Hist. (Chicago), the Canadian Museum of Civilization (Hull, Que. ), the Brooklyn Museum of Art (New York), and the Peabody Museum of Archaeology and Ethnology (Cambridge, Mass.). Newcombe is the author of “Epileptiform seizures in general paralysis,” in West Riding Pauper Lunatic Asylum, Medical reports, ed. J. C. Browne and H. C. Major (6v., London, 1871-76), 5: 198-226; “Case of locomotor ataxy,” Brain (London), 2 (1879-80): 134-38; “The Haida Indians,” in Congrès international des américanists, XVe session, tenue à Québec en 1906 (2v., Quebec, 1907), 1: 135-49; Petroglyphs in British Columbia ([Victoria? ], 1907); Guide to anthropological collection in the provincial museum (Victoria, 1909); The first circumnavigation of Vancouver Island (Victoria, 1914); “The McGill totem pole,” Ottawa Naturalist, 32 (1918-19): 99-103; and “The Haida totem pole at the Milwaukee Public Museum,” in Milwaukee Public Museum, Year book (Milwaukee, Wis.), 1922: 194-97. He co-authored The sea-lion question in British Columbia (Ottawa, 1918), was one of the compilers of the British Columbia Provincial Museum’s A preliminary catalogue of the flora of Vancouver and Queen Charlotte islands, comp. W. R. Carter and C. F. Newcombe (Victoria, 1921), and, with John Forsyth, edited Menzies’ journal of Vancouver’s voyage, April to October, 1792 (Victoria, 1923). Church of Jesus Christ of Latter-day Saints, Geneal. Soc., International geneal. index. Biographical dictionary of American and Canadian naturalists and environmentalists, ed. K. B. Sterling et al. (Westport, Conn., 1997). Canadian Field-Naturalist (Ottawa), 38 (1924): 191-92 (obit.). Douglas Cole, Captured heritage: the scramble for northwest coast artifacts (Vancouver and Toronto, 1985). Jean Low, “Dr Charles Frederick Newcombe,” Beaver (Winnipeg), outfit 312 (1981-82), no.4: 32-39. Roll of the graduates of the University of Aberdeen, 1956-1970: with supplement, 1860-1955, comp. Louise Donald and W. S. Macdonald (Aberdeen, Scot., 1982). Kevin Neary, “NEWCOMBE, CHARLES FREDERIC,” in Dictionary of Canadian Biography, vol. 15, University of Toronto/Université Laval, 2003–, accessed April 26, 2019, http://www.biographi.ca/en/bio/newcombe_charles_frederic_15E.html.